Promised myself a visit to the Oude Kerk in Amsterdam, for my friends from dKvhT visited last wednesday when I could not go. So I went – and it was very much worth my while. 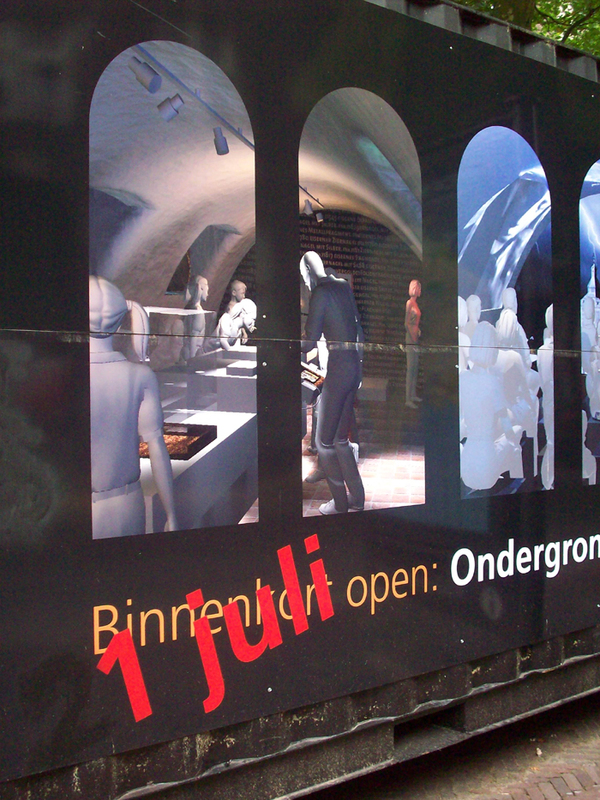 First of all because of the work of Marinus Boezem. Who was not on my radar until today, but I did know the green cathedral he did in Almere – a cathedral made of trees. 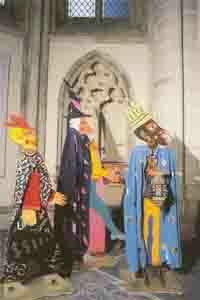 Anyway, Boezem is fascinated by gothic churches, buildings that lifts the individual up. 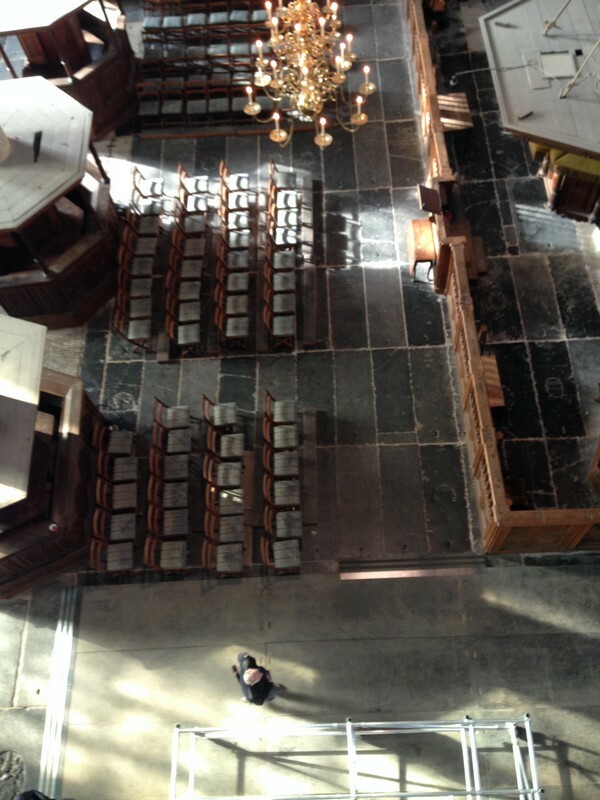 In the Oude Kerk he literally lifted me – nice! For he installed an open-air elevator, a rickety thing to look at. I took my courage in both hands and went up-up-up, see the pics below for a view of my adventure. 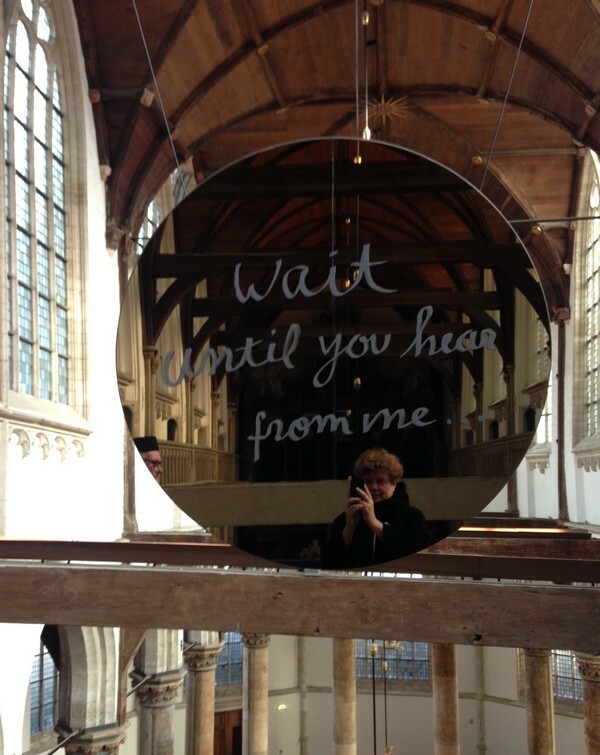 Secondly they have a tour on called ‘Come Closer’ – exploring the church with fingertips, feet, ears, and finally: eyes. So good it should be mandatory. And it should not be billed as ‘for kids – with parents’ – why is it that if it’s fun to do, it is for kids? 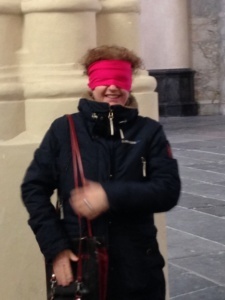 walked hand in hand through the church blindfolded. Note: takes a bit of courage to do this with total strangers. To paraphrase Miranda’s mother: Such Fun!